In silence do we make confessions that chaos creates. It is neither a random line, nor a pathetic attempt to fit the daily prompt into an unrelated post. It’s one of the lines I wrote which I still love. It’s been a while. Since I’ve tried my hands at prompts. I could give many reasons, but let’s skip it. Let’s decipher that line, shall we? 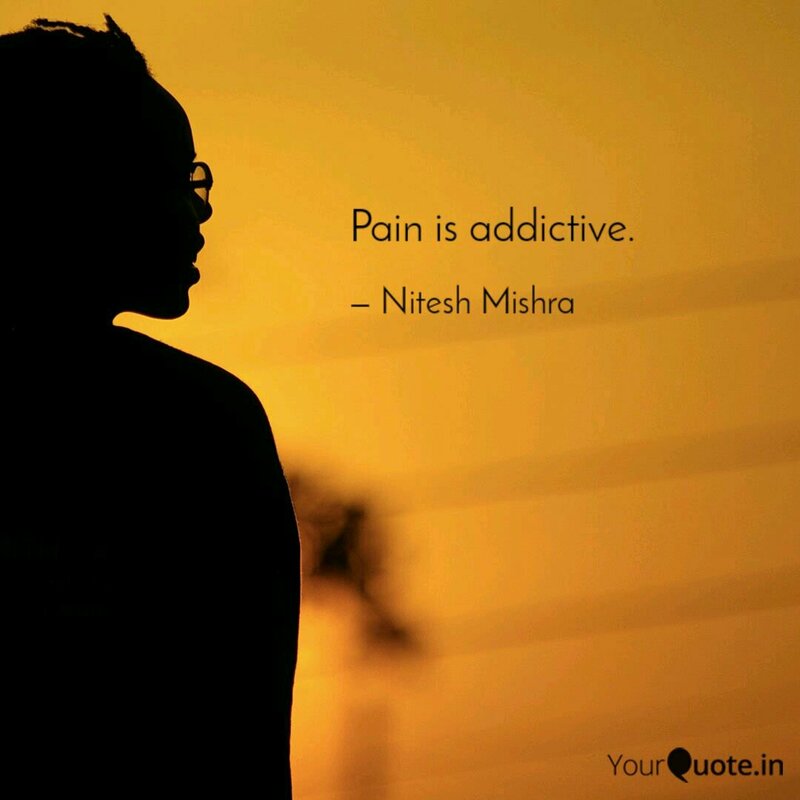 Pain is addictive. Does it seem random or would you say it’s a plausible extension to the first line? Yeah, I’m asking you, my silent friend. See, I’m one of those crazy soul who will always choose rain over sunlight. So, I’m always a bit biased. The line we are talking about, it had a simple thought process behind it. When we introspect, we debate all our faults, within our head, and we do them in a moment of internal silence. Chaos. The faults of our little life. The things that could have been. A forgotten kiss. A misplaced emotion. Or anything else that tickle your fantasies. The point is, there are thousands little steps we avoid taking. Thousand little things we deny because we believe we are not good enough for them. We associate the value of things with the amount of pain we had to suffer for them. If you had a good fight, you’re supposed to have a good scar, isn’t that the metaphor? Isn’t that the hero’s quest? In case my little attempt, or lack thereof, seems misguided, let me tell you this. It isn’t. Sometimes, profound realizations occur in simple moments. Without any associated suffering. Why do you have to experience distance from your family to realize their importance? Don’t you know, without any doubt, family is the one thing that always matters? Profound realization without any associated pain. Don’t be like me. Please. Do not make confessions in silence. Beauty lies within simplicity. Layers, my dearest. Everything consists of layers. Take that one step you’ve been avoiding. Shatter the confession you’ve been making in silence. My thoughts, they are blanketed by bitter nights. Yet I take a flight through the burning sky. Don’t make me use my sentence enhancers, all right? Take that little step. Very nice and deep post. I love the way you think. Jokes aside, thanks a lot. Very nice and deep post on silence. I like the way the author thinks and warns us about it. Once again, thanks a lot for the reblog Emma. It means the world to me. And I’m not just saying it, I mean it. this prompt beautifully speaks the silence with which we hide ourselves everyday! The confessions of chaos. Hey, wait a minute, that would have been an apt title too. So profound! So perfectly depicted in words! Very well conceived. I stopped with daily prompts also. But I stopped writing mostly. My shoulders are tense.